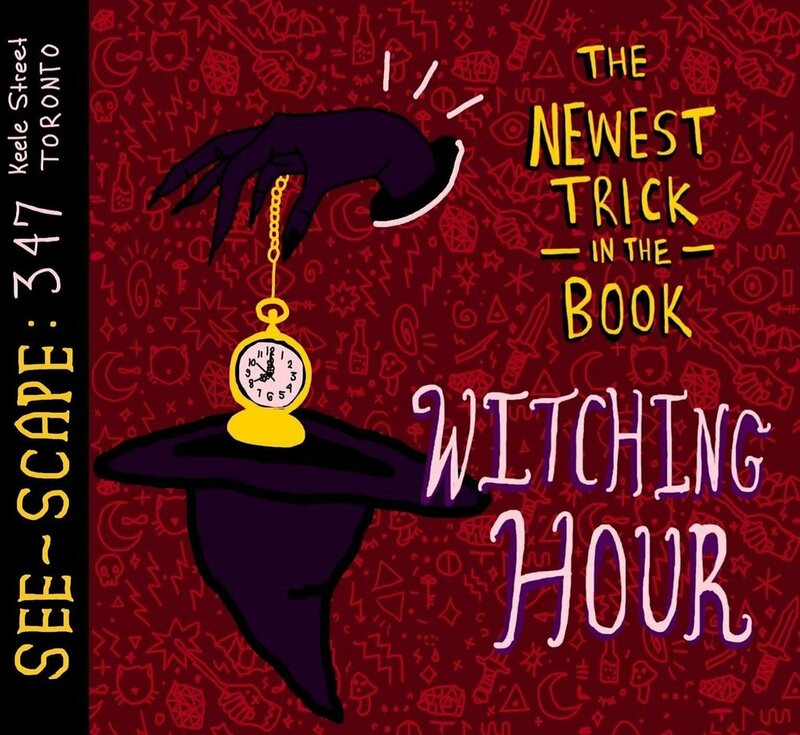 Last night I got to attend a special performance at See Scape put on by the Toronto Magic Company. They forewent their usual weekly performance The Newest Trick In The Book, and replaced it with The Witching Hour; the same format but featuring an all female cast. The show did have one marked improvement over there regular format and just goes to show what happens when you let women be in charge. 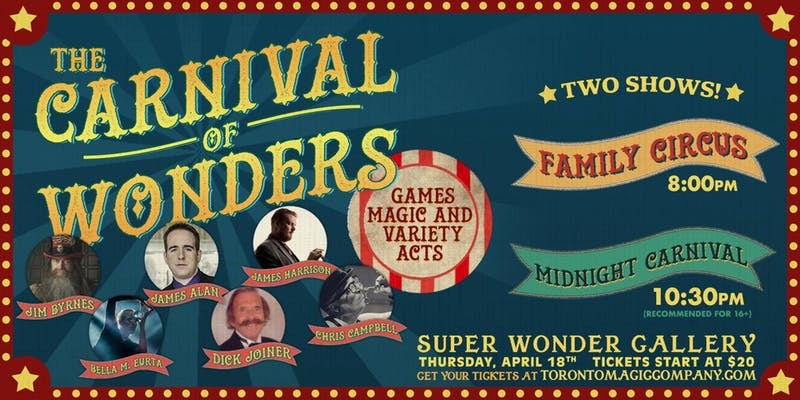 Later this week, I’ll be appearing on another TMC production: The Carnival of Wonders, which also features Bella Muerta and a number of strange, unusual and wonderful people. Tickets are still available for the early and late sittings (8:00 PM and 10:30 PM) at the Super Wonder Gallery.